In these days we’re getting tons of new boots and releases, and Mizuno is about to join the battle with style. 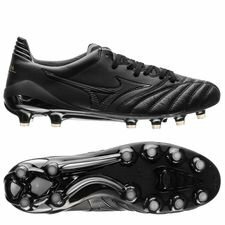 Mizuno is already known for making some of the best leather boots out there. Now they are taking this to a whole new level, with their Rebuild Project. Read along to find out. Mizuno introduces their new Rebuild Project, which is all about creating boots that visualizes what Mizuno truly is. Basically, Mizuno takes some of the key products from their past and present and “rebuilds” them with use of the finest selection of materials, and by using state-of-the-art function and advanced technologies. The end product is the super fine Blackout Pack. 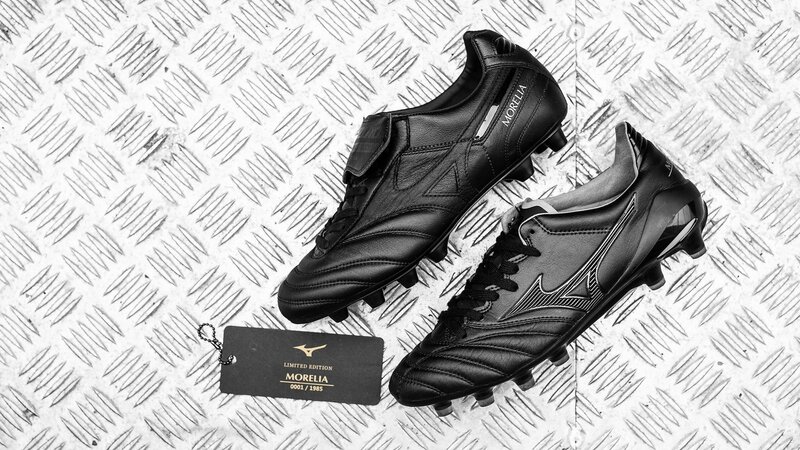 The Morelia II JAPAN and Morelia Neo II JAPAN are two signature boots in the Mizuno football family, and they symbolize the Japan spirit and Mizuno’s unwavering commitment to “Made in Japan” quality. But how do you give them more Japan spirit? You simply just replace the regular kangaroo leather with premium Japanese cowhide. You read correctly, Japanese cowhide! The leather comes from a special strain of Wagyu cows from the Kobe region, and is considered to be the most prized Wagyu cow meat. This gives the leather a premium state, and the boots benefit by getting a soft and supple touch. These two boots are going to be the first pairs who goes through the Rebuild Project. But to be able to make such stunning and premium boots, by merging historical boots with Japan leather, you have to carefully select the material. This means that the boots cannot be mass-produced and these Limited Edition boots will be numbered from 1-1985. 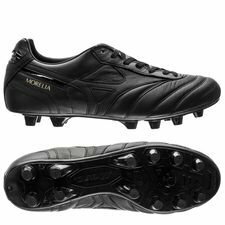 There will be 1000 Morelia II Japan and 985 Morelia Neo II Japan boots worldwide. 1985 is specifically chosen due to this was the year the Morelia Neo was introduced to the world. We just can’t take our eyes of these boots! Already available at Unisport!